Review of Catholic books, children's books, DVDs, board games, etc. 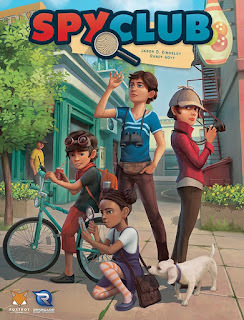 When I think of famous characters in children's literature, I think of such names as Nancy Drew, The Hardy Boys, The Bobbsey Twins, Encyclopedia Brown, The Boxcar Children, and The Baby-Sitters Club just to name a few. What do all these names have in common? They are all detectives. Yes, when you think about it, mystery series are a staple of children's literature (and adult literature too)! Drawing on this popular genre, Foxtrot Games developed the game Spy Club. Spy Club is a cooperative game for 2-4 players, ages 10+. It takes approximately 45 minutes to play and retails for $45. In this game, you and your fellow detectives will work together to unlock the five clues necessary to solve the case. Let's learn how to play! 1. Situate the Board and Supply - Assemble the puzzle pieces to form the Central Board. Determine the difficulty level you want (standard or advanced), and flip the Central Board to that side. Place the Escape Marker on the bottom space of the escape track of the Central Board. Place all 18 Idea Tokens (light bulbs) within reach of all players. 2. Create the Movement Deck - Take the 25 Movement Cards and divide them into 3 stacks (daytime, sunset, and nighttime). Shuffle each stack and remove one card from each stack. Form a single deck in the proper order of daytime, sunset, and nighttime and place this deck in its spot on the Central Board. 3. Create the Clue Deck - Shuffle the 54 Clue Cards, making sure to cut and flip the cards to create a thorough shuffle. Place this deck in the card tray, and place the tray next to the Central Board. Then, deal out a number of clue cards to the right of the tray, based on the number of players. These are now known as incoming clues. Place a Placard over each incoming clue according to the table in the rule book. 4. Prepare the Player Areas - Give each player two puzzle pieces to form their Player Board. Randomly determine a starting player (I usually go with the youngest! ), and deal one card from the top of the clue deck over each empty slot on the players' boards, starting with the first player. This forms a player's hand. 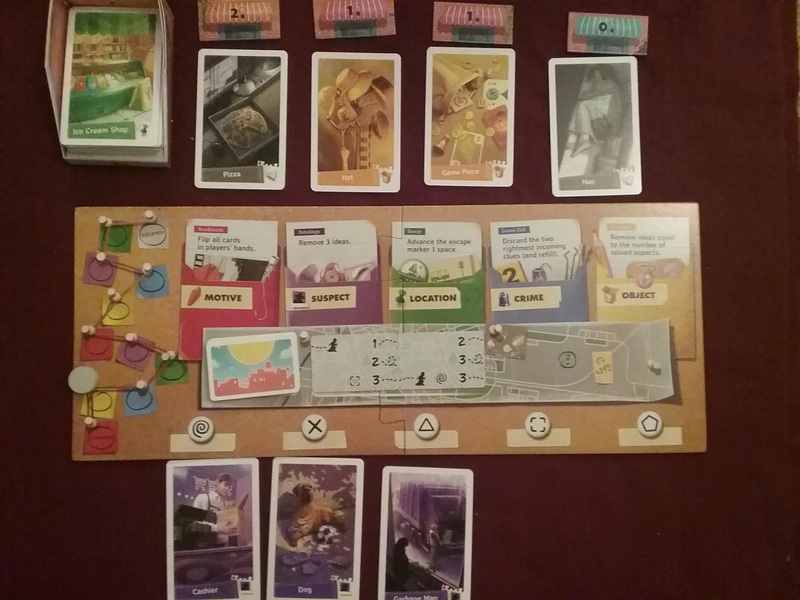 Each player places one Focus Token (magnifying glass) on their Player Board below their rightmost card. Each player also receives one Idea Token. 5. Position the Suspect - Place the Suspect Pawn over the rightmost card of the starting player. 6. Select and Name Characters - Have each player select one of the eight Character Cards. Take a blank sticker, writing the name you created for your character on it, and affix it to the lower part of the Character Card. 7. Case 1 Only - Reveal cards 3 and 4 from the Campaign Deck and set them aside. You will flip them when the instructions on the card tell you to do so. 1. Use Actions - There are four actions you can take. You may perform up to three, including the same one multiple times. a. Investigate - Flip any of your Clue Cards (one at a time) in any order. You decide after each flip, whether you want to keep flipping or not. b. Shift Focus - Move your Focus Token to one of your other Clue Cards. Gain one Idea Token for each Clue Card that is the same aspect (color) of your new Focus Card. *Teamwork Bonus - You may also do bonus activities such as trading cards or taking Idea Tokens from other players. 2. Refill - Fill any empty slots in your hand. Then, fill any empty slots for the incoming clues. 3. Move the Suspect - Reveal the top card of the Movement Deck, and place it face-up on the movement discard track to the right of the previous card. a. Advance the Escape Marker - If the revealed card has an escape icon, move the escape marker one space. If the marker reaches the "Escaped" space, the case ends immediately! b. Move the Suspect Pawn - Determine what number on the previous card is connected to the suspect icon and move the Suspect Pawn that number of spaces. An event is then triggered depending on the color of card that the Suspect Pawn ends their movement on. You will solve aspects of the case by having five cards of the same color in the center row. Of these five cards, the solution card is identified by the symbol in the center of the most recent Movement Card. The game will end in one of five ways with only one resulting in a win. The end game possibilities are : 1 Succeed by solving all five aspects of the case. 2. The Escape Marker reaches the "Escaped" space. 3. You do not have enough ideas to remove from the game when required to do so. 4. You do not have a movement card to draw at the end of player's turn. 5. You do not have enough incoming clues to fill all players' hands. Note: There are campaign rules where you will be required to solve five cases to win. This adds a newer wrinkle in difficulty and creates a fun way to unlock new rules, change the way you play, add story that will carry forward from one case to the next, and create a wealth of replay value! Foxtrot Games isn't a publisher that cranks out 20 games a year. Instead, they take their time focusing on one to two games a year, and making those games excellent. 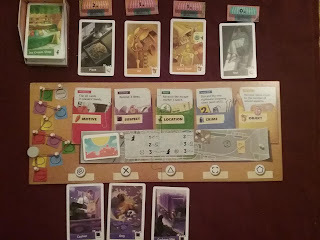 This started with Relic Expedition, moved on to Lanterns, World's Fair 1893, Sundae Split, The Fox in the Forest, and has ultimately led us to Spy Club, arguably their best game to date. Each game is thoughtfully and meticulously crafted in terms of art and game play, making the games visually appealing on your table and welcoming for players of all experience levels. I don't just dole out this praise lightly either, as I own the majority of their catalog, it is well-deserved. However, let's focus primarily on Spy Club. 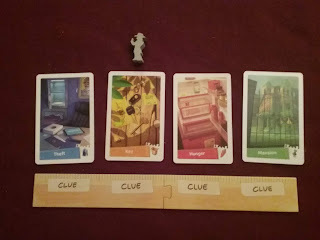 Spy Club on the surface is a box of colorful double-sided cards that you are trying to match into a five of a kind set in order to solve an aspect of a case. 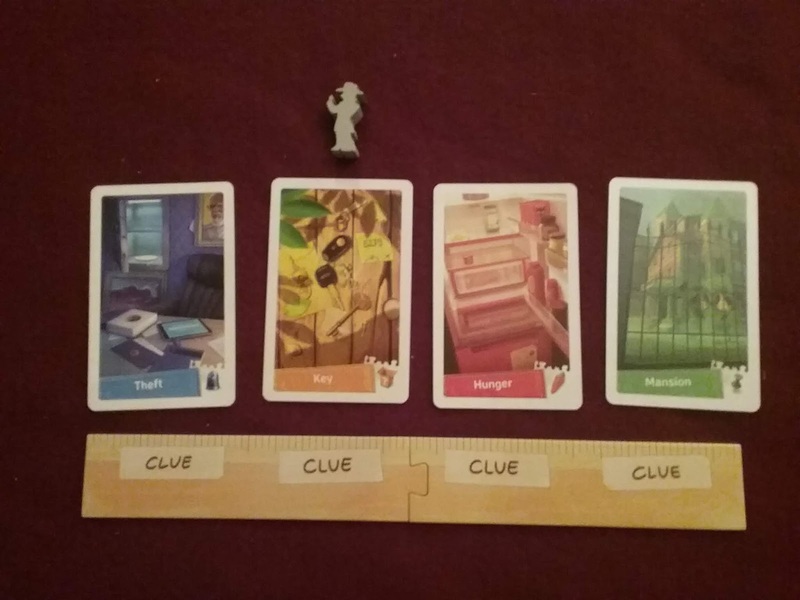 It sounds simple enough, but you are having to manage resources to make these matches happen and also going against a timer in the form of a deck of cards that is going to frustrate you to no end your first couple of plays until you and your group get used to the various actions and bonus actions you can take to match the cards and solve the case. If you master the art of a single game, you can play five separate games to make up a game, and this is where the game really shines. The campaign mode of Spy Club elevates this game to an 11 out 10 ranking. Yes, you read that correctly. Starting with Case 2, you will unlock new content based on which aspect of Case 1 that you recorded. This will then instruct you which card (from two giant decks of cards) to reveal, read, and alter the way you play the game. I won't go into details how, but it added new challenges to an already great game. What I like best about the campaign mode is that it is not a legacy style format, meaning that nothing you do during the campaign will destroy any cards or components. Instead, it is called a "mosaic" game, meaning that rules and elements of each case will change each time you play. There are 40 different modules and each you only use 4 each game. That means, at a minimum, it will take you 10 games to discover all the modules. In reality, it will take you more as sometimes you will face the same module more than once. That's a lot of replay and value for $45! This is my #1 family game of the year and a game that I believe belongs on everyone's shelves. There are a lot of cooperative games out there, but they generally fall into one of two camps - 1. Very childlike with no real depth or 2. Doom, gloom, and the end of the world. Spy Club breaks the mold by creating a light and captivating theme. Once you have finished a game, you are then encouraged to make a story out of the five aspects of the case to further immerse yourself in the experience. This help foster imagination in your younger players and gives you a satisfying end to a job well done. I can think of no family game currently that offers the depth and replay that this game does for this price. And while I have not been through every module in this game, I look forward to experiencing them all and hope that there will be an expansion down the line that adds even more modules for us to unlock. Can't recommend this game enough! Venerable Anne Catherine Emmerich was an Augustinian nun who lived from 1774 to 1824. In addition to being a nun, she was also a stigmatic and ecstatic. Like a lot of saints, she grew up in a poor family. However, she was always very close to God and showed great love for Him and those of His Church, often giving everything she had, leaving her without anything for herself. 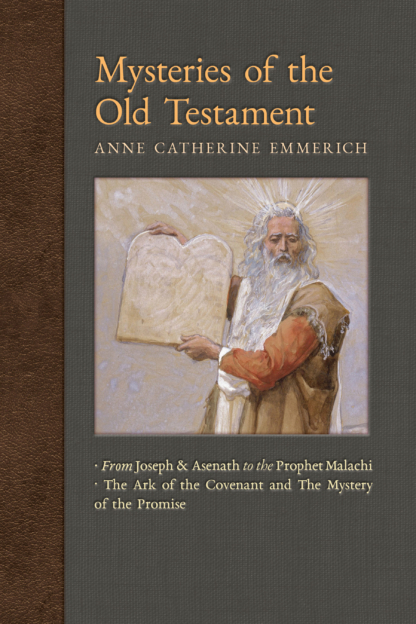 What was extraordinary about Emmerich is that from an early age, she experienced visions of Old and New Testament scenes. Angelico Press has made it their mission to publish English translations that have been supplemented and revised with material never translated before. 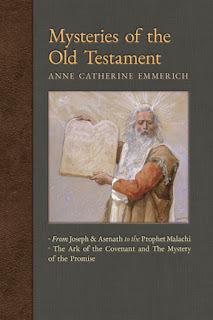 Today, I would like to tell you about two of the volumes - First Beginnings and Mysteries of the Old Testament. First Beginnings starts by talking about angels and the fallen angels. This was equal parts intriguing and terrifying. On the one hand, we see one set of angels choosing God and another set of angels choose self. We then see Hell being created. It isn't overly descriptive, merely described as a dark disc rising from below. Some of the fallen angels remained there, and others still roam trying to lead man to eternal damnation. After this vision, we are walked through the Creation story, Paradise, Adam and Eve, the Fall, and the death of Abel. A brief section is dedicated to the name of Golgotha. This leads to Cain's descendants, Enoch, Noah,, and the construction of the ark. Other figures discussed were Nimrod, Derketo, Semiramis, Melchizedek, and Job. Mysteries of the Old Testament begins with Joseph being sold into slavery. It talks of the jealousy of his brothers, a description of his coat of many colors, and mention of a special gift Jacob gave to Joseph, some of the bones of Adam. There is then much attention given to Asenath, Joseph's future wife. From the Old Testament, we know very little about her, but here we are given a physical description of her, learn that she is a prophetess, and also are given examples of her great intelligence. The next section details Moses, specifically the burning bush. We see the prefigurement of Mary and the Incarnation in this area. Also included are Elijah (a personal favorite), Elisha, Ezra, and Malachi. Lastly, there is a lengthy passage on the Ark of the Covenant as it related to Abraham, Moses, Mary, and Jesus. This was a truly fascinating section and worth the price of the book alone! Publishing these volumes was no doubt a monumental effort for Angelico Press, but you can tell it was truly a labor of love. I thoroughly enjoyed reading through the Old Testament writings, as I find the people and history of the Old Testament to be fascinating. The level of detail and the illustrations provided make these two books a must read for any student of the Old Testament. I also appreciated the copious amounts of footnotes that were provided, as this gives us better understanding of the visions and the illustrations as well. 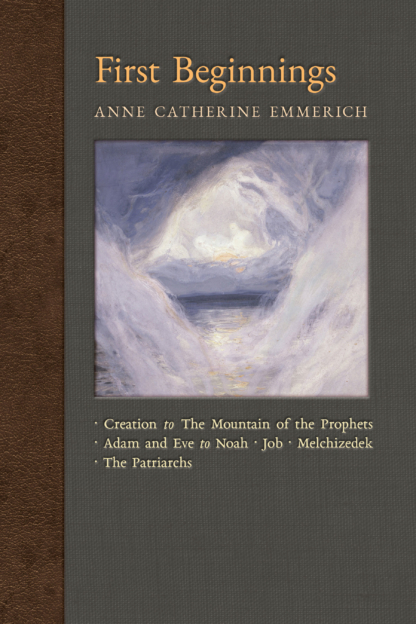 In addition to these two volumes of the Old Testament, there are ten other volumes in this series that cover the life of the Virgin Mary, people of the New Testament, Venerable Anne Catherine Emmerich's own life, and other themes. I am going to have to investigate and read these when I have the chance to get a fuller and more complete picture of the visions Anne experienced and the remarkable life she lived. To say Joseph Ratzinger (Pope Benedict XVI) is one of the greatest theologians of our generation is an understatement. He should be classified as one of the most brilliant minds of our generation. Experiencing Hitler's Nazi Germany shaped the way he thought, especially in relation to faith and politics. 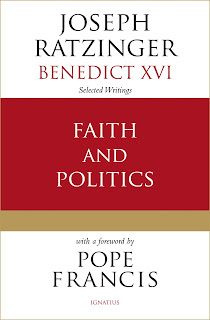 He wrote a great deal on how these two ideas intersect and interact with each other and Ignatius Press has recently compiled some of these works together in the appropriately named Faith and Politics. The book begins with a sobering comparison Johann Sebastian Bach's Passion of Christ and Krzysztof Penderecki's Passion. The former details Jesus' Passion and stops before the Resurrection, whereas the latter addresses the sufferings of the people of Auschwitz. This comparison is further built upon, while also discussing the seriousness of man's sinfulness and affliction. This leads us to a section on Jesus and Pilate. In this chapter, we see the hypocrisy of the Jewish people claiming to observe ritual purity, but at the same time lacking purity in their hearts. Pilate, by choosing not to release Jesus though he found him innocent, chose political stability over truth. We then see Augustine in opposition with the politics of Rome and Christians when faced with a totalitarian regime. Ratzinger argues that Christianity killed the notion of a "divine state," and that Christian morality and good must be present in a society. The next and longest section deals with a pluralistic society and the freedom, conscience, and values of the people and the society they are living in. The book ends with a transcript of a debate between Ratzinger and Paolo Flores d'Arcais (an atheist) on the existence of God. In my opinion, the book is worth buying for that transcript alone. 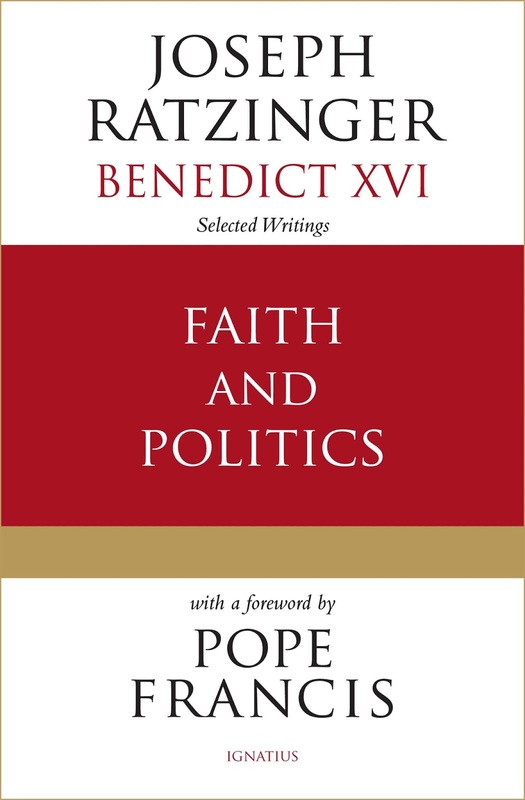 Drawing on Scripture and Church Tradition, Ratzinger shows us how politics and faith intersect and intertwine. More importantly, he demonstrates that without a grounding in faith, politics and society can lose their meaning and their way. As Christians, we are called to live in this world, but not be of this world. Therefore, we must use our faith to help shape our society and not let our society shape our faith. This was a very interesting, enlightening, and sometimes challenging read by Ratzinger, like all of his works. If you are involved in politics or studying politics at school, this will be of more benefit to you than the casual reader.